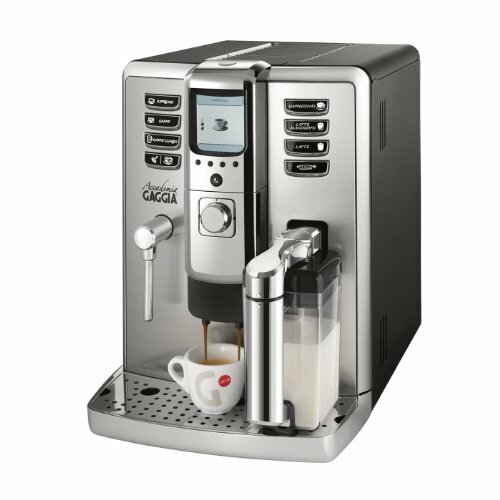 This entry was posted in Family, Life, Travel and tagged birthday present, coffee makers, espresso machine, Gaggia Accademia, Italian espresso, the best cappucino by kjpaints. Bookmark the permalink. Brenda, I promise there is no breakfast in bed happening here, but mostly because sleep is the only thing I love more than coffee (I know the two don’t go together) so he knows better than to disturb me before my feet hit the floor, lest he looses an apendage. I’m here all the time, so feel to drop by any time. Miss you. 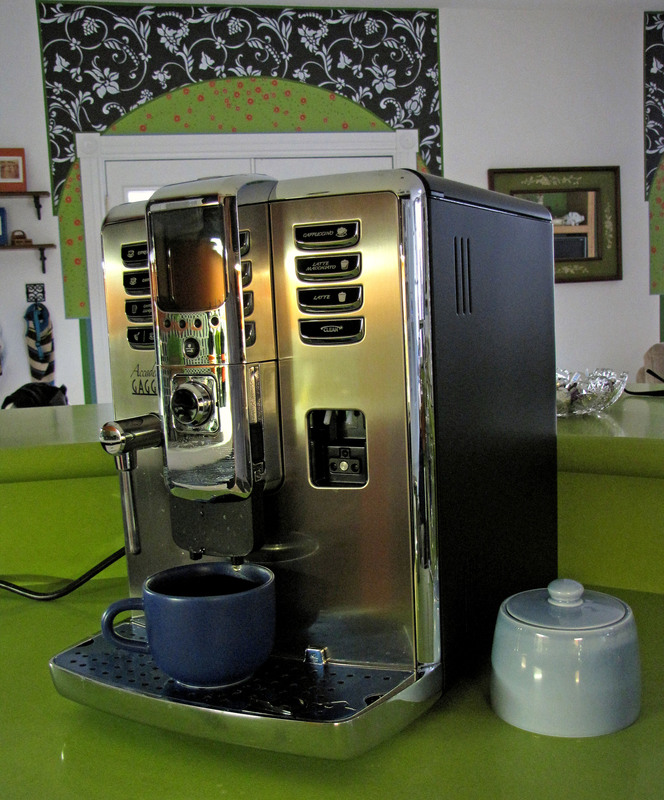 Colleen, this machine is a monster and totally sticks out like a sore thumb, but I love it too much to care. Thanks for always supporting my weaknesses. Karen, an awesome woman deserves an awesome Christmas present. From now on I’ll just think of it as “The Shrine Of Awesomeness.” You’ll have to make sure there’s an appropriately awesome place for The Shrine in the kitchen of your new house. Maybe a golden pedestal in the middle of the room. The only thing better would be a totally ripped, hunky dude to bring you your coffee–oh wait, you already have one of those. Then I guess it really is the perfect present. Happy Birthday! Yeah, Lisa, I mentioned that it would be hard to put this thing in a smaller kitchen when we move. We may have to make a coffee bar out of a little table. Just gives me an excuse to hunt for a table…….like I need an excuse.